The Streacom nano power supplies are 100% silent fanless DC-DC solution. No fans, no noise, just power for small and silent PCs. Designed to provide silent ATX power in impossibly small spaces, the Streacom nanoPSUs are designed to fit perfectly into all Streacom cases but can also be used as a silent PSU solution for any case. Here is our recommendation regarding which PSU to choose. If the system contains a motherboard, CPU (65W max), a SSD/HDD and an optical drive (or another SSD/HDD) then the 120W version would be more than adequate. If the system has more than one SSD/HDD and an optical drive then it is wiser to opt for the 160W version. Whichever one you choose these are the best power supplies currently available able to power a low wattage system in a tiny space. Samsung 850 Evo 250GB SSD 2.5"
The power brick stays surprisingly cool. Initially my system drew 40W on idle, and 85W under heavy load (gaming). After purchasing a Gigabyte RX 460, it drew 160W on load. Too close for comfort, so downclocked the RX a bit, and with a ~10% performance hit, I'm now drawing 140W under load, everything is good. A simple solid cover for the case's PSU opening would have been a cheap but useful addon. I used an old PCI slot ventilation bracket to screw the power connector into. Which would be another cheap addon. But considering these are tailored more towards the DIY cases (or otherwise more custom cases), this omission was understandable. There was ALMOST an incompatibility issue with my motherboard. The problem was that the PSU's wires protruded straight towards the RAM sticks. Fortunately, I had fairly low-profile RAM sticks, so it just barely clears out. From what I've gathered, AsRock is the only FM2+ ITX board manufacturer that places the RAM slot and ATX 24pin header so close and parallel to each other. 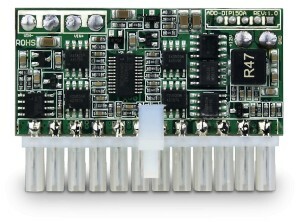 All the other manufacturers have either the WiFi/BT card or some capacitors next to the ATX 24pin header. 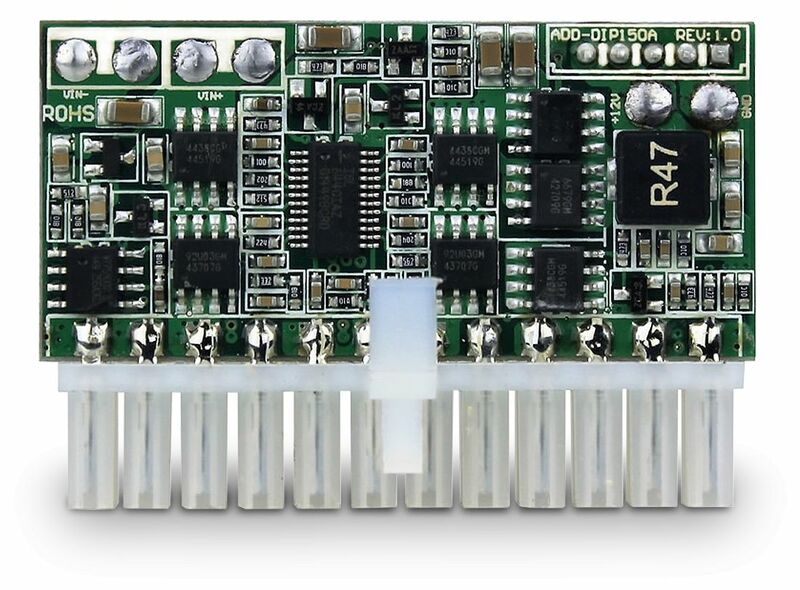 But this will probably be an even bigger issue with Intel-based ITX boards, where it's VERY common to have the RAM slot and ATX 24pin header close and parallel to each other. 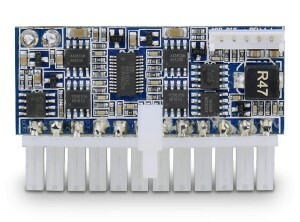 I bought this for a low-power storage server based around a Supermicro X10SDV-2C-TLN2F motherboard. 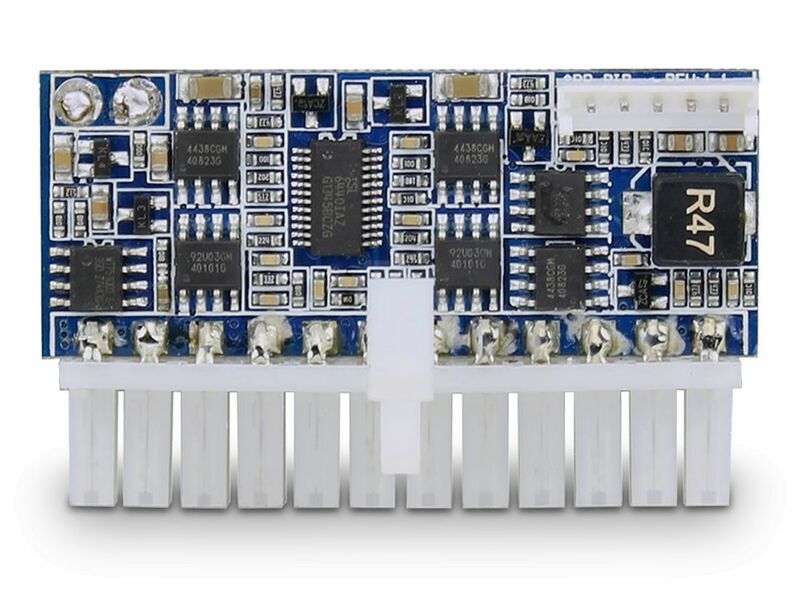 I was a bit nervous as I had read some reports of Supermicro boards being a bit fussy about what PSUs they support, and I read an article where someone had some issues using SMC board with a PicoPSU, but with this Streacom product it worked perfectly first time. Very impressed. Completely silent and no heat inside the case. I had to source a PSU blanking plate from eBay, but no issues there. Simple PSU, fanless, seems very efficient (previous quality 500W PSU that should have been running at ~88% efficient drew 19W at the wall, this draws ~16W on the same setup - system is running a CPU @ 20W TDP, not stressing it yet). Easy to fit - not really much scope to go wrong here. An incorrect mains cable was included(?) but the power brick takes a standard PSU kettle lead so have a few spares. You may need to allow for an ATX blank plate depending on your case, don't think QuietPC sells them but not too hard to find in the UK.